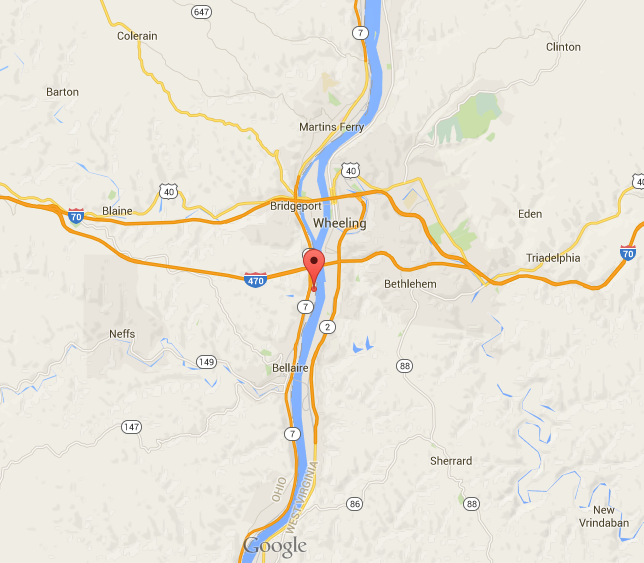 This site is located along the Ohio River just 0.5-mile south of Interstate 470. It is zoned for commercial and industrial use. Currently on the site are four river cells, a truck scale, belt line, and an overhead crane. Rail runs adjacent to the site with a switch installed that could accommodate a spur onto the site. The 46,000-sf building was constructed in 1957 and was previously used for commercial purposes; 25,000 sf is available for lease. The site has generally flat topography and good vehicular access. Fifteen acres are available for lease. The site has generally flat topography. According USDA NRCS, there was one soil type mapped for the site. The soil type that was mapped is Udorthents-Urban land complex (Ud – 17.9 acres, 98.3 percent of the site). 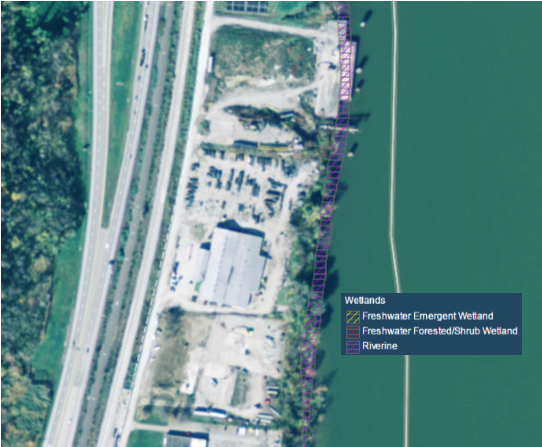 According to the FEMA FIRM 390025, 390026, 390762 FIRMettes, the site is located in three Flood Zones, two labeled as AE, which have two different distinctions due to the location of the Ohio River south of the site. Zone AE furthest away from the Ohio River is described as a Special Flood Hazard Area that is subject to inundation by the 1 percent annual chance of flood. Zone AE has base flood elevations determined. See map for possible water surfaces at the site. If any known water surfaces are present, they are depicted according to the map legend. Interstate 470 is 1/2 mile from the site. The primary vehicular access comes from Ohio SR 7 and this road is a four-lane highway in this general area. Using 28th Street/Guernsey Street exit will provide access to the site. For vehicles traveling north, there exists an entrance ramp directly onto Ohio SR 7 across Guernsey Street from the MPR office building. For vehicles traveling south entrance ramp directly onto Ohio SR 7 approximately ¾ mile from site. Both the Norfolk Southern Railroad and the Wheeling/Lake Erie Railroad companies have tracks between Ohio SR 7 and Guernsey Street. Currently a new Wheeling/Lake Erie Railroad spur is being developed into the site. It will be located between the former Armory site and the MPR office building. Wheeling/Lake Erie Railroad will be the only railroad accessing the site. Permitted river access does exist. The permit allows the loading and unloading of any material and fleeting. The permit allows for 2,900 lf of fleeting space along the Ohio River. There are four docking cells that allow room for 15 barges with room for 15 additional barges if needed. A conveyor exists at the barge unloading area along the Ohio River. The Pittsburgh International Airport is located 50 miles from this site, and the Alderman Airport is located 15 miles from the site. 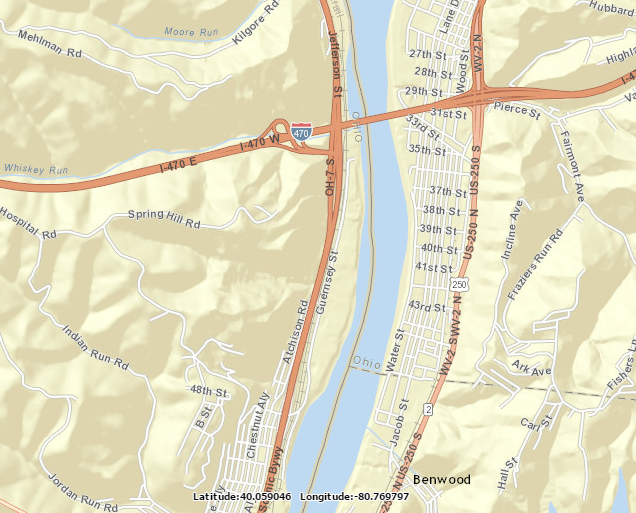 According to the USACE Ohio River Navigational Charts database, the river depths at the site range from 0 to 2.74 meters in depth near the shoreline and 2.74 meters deep or greater beyond. 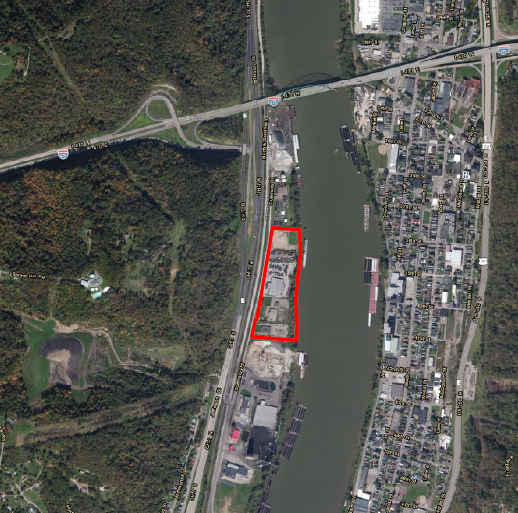 The MPR Supply Chain Solutions/Mountaineer Site is located near Ohio River Mile 92, which has normal pool elevations of approximately 623 feet amsl. 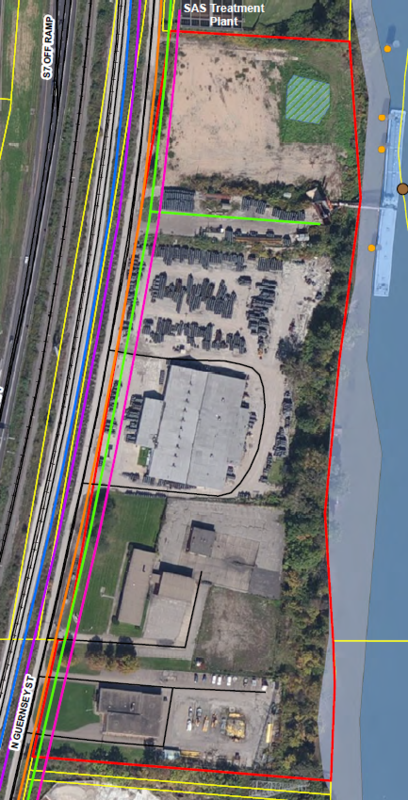 According to the ODOT Division of Planning, Maritime & Freight Program information database, there is one terminal location identified at the site. The terminal is named Cravat Coal Co., Loading Dock with FID No. 196. This terminal is located at Ohio River Mile 92.2 and is owned and operated by MPR Supply Chain Solutions. The listed purpose of the terminal is multi-modal transload services company for a variety of materials, including steel products, oil country tubular goods, aggregates, frac sand, and other bulk materials. Gas service is provided by Columbia Gas. Both transmission and distribution gas lines exists along the east side of Guernsey Street. Gas service piping currently exists on the site. Electric service is provided by AEP Ohio. Three phase/480 electric service exists for the site. AEP 69kV & 12kV on site and 138kV & additional 69kV facilities within 0.2 miles. Potable water service is provided by the City of Bellaire. A new 10-inch potable water line exists on the west side of Guernsey Street and has pressure of 60 to 65 psi. Water service piping currently exists on the site. The site has a permit for taking up to 8 million gpd of non-potable water from the Ohio River to sell for off-site fracking operations. Sanitary sewer service is provided by EORWA with a gravity sewer pipe that runs along Guernsey Street and ends at the adjacent WWTP. Sanitary sewer piping exists on the site. Currently the storm drainage is collected with drop inlets and piped to the Ohio River.